Breisch & Crowley, LLC - Cockayne Farmstead Goes GreenExcerpts from the article that appeared on December 15, 2011 in the Journal - Valley News Glen Dale – The “green” climate control project beginning at the Cockayne Farmstead Project received valuable assistance from Chris Haddox, West Virginia University visiting assistant professor in Interior Design and Design Studies and LEED AP, accredited professional in Leadership in Energy and Environmental Design, the U.S. Green Building Certification Program. ….. 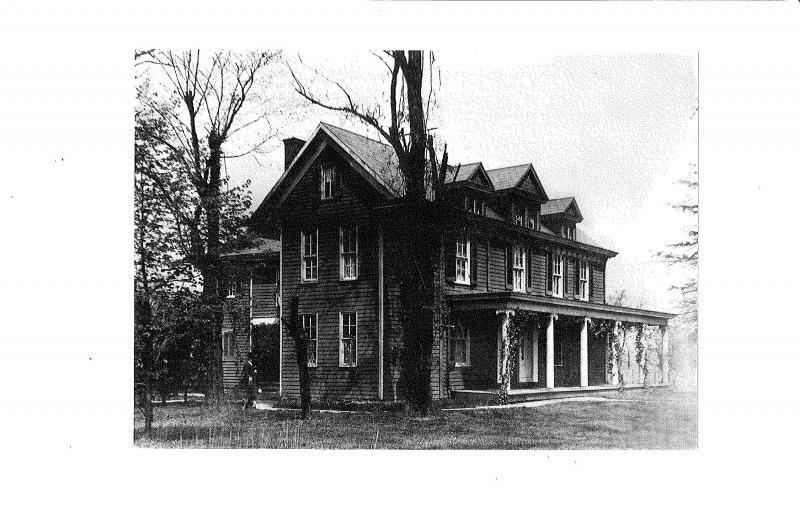 The Cockayne Farmstead Project recently was awarded a grant through the Transportation Equity Act to install a climate control system in the 1850s farmhouse on Wheeling Avenue in Glen Dale. ….. Member of the Green Schools Initiative and Cockayne Farmstead Committee chair, Mark Swiger, observed that Nila Chaddock’s and Tom Tarowsky’s work is seeing results with the team they have assembled. “We are on the verge of doing something monumental with a lot of people”, he said. “This historic site, with LEED in mind, is attempting to set a standard in historical site preservation. The up-front commitment can ensure longevity for facilities like Cockayne, for generations to come. This is very exciting.” Steve Avdakov, the local preservation architect who has been deeply involved in the Cockayne project, also commented, “The green approach to design in many ways goes back to the common sense attitudes toward conservation of materials and resources that were ingrained in farm families like the Cockaynes. I’m very much looking forward to the tremendous challenge of integrating climate control systems into the interior of the Farmhouse while maintaining the historic architectural character of this one-of-a-kind resource.” Tim Crowley – LEED AP, commented on the National Historic trust motto – “Old is the new Green” – this is an exciting concept. You can’t get much more green than constructing a farmstead with your own hands from the materials that are readily available to you in your region. 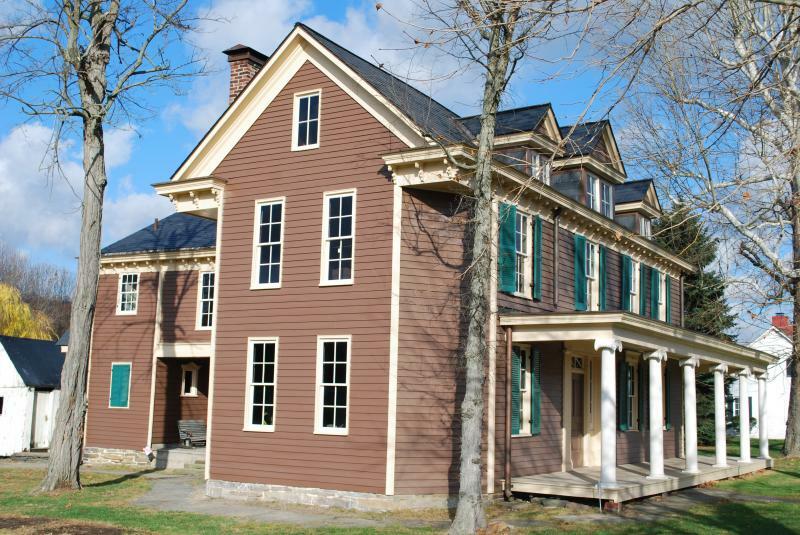 To work on the historic preservation of the Cockayne Farmstead with a focus on sustainability and green technology is an honor and a challenge.“The benefits of utilizing the LEED system as administered by the U.S. Green Building Council is that it affords a holistic approach to the project that takes into account the building and its surroundings,” Crowley said. “The work we do on the Cockayne Farmstead could very well become the benchmark for how one should properly address the historic preservation of significant structures in an environmentally sensitive way that focuses on energy efficiency and sustainability.” For more information on the Cockayne Farmstead, visit www.cockaynefarm.com, or follow Cockayne Farmstead on Facebook. Glen Dale – The “green” climate control project beginning at the Cockayne Farmstead Project received valuable assistance from Chris Haddox, West Virginia University visiting assistant professor in Interior Design and Design Studies and LEED AP, accredited professional in Leadership in Energy and Environmental Design, the U.S. Green Building Certification Program. ….. The Cockayne Farmstead Project recently was awarded a grant through the Transportation Equity Act to install a climate control system in the 1850s farmhouse on Wheeling Avenue in Glen Dale. …..
Tim Crowley – LEED AP, commented on the National Historic trust motto – “Old is the new Green” – this is an exciting concept. You can’t get much more green than constructing a farmstead with your own hands from the materials that are readily available to you in your region. To work on the historic preservation of the Cockayne Farmstead with a focus on sustainability and green technology is an honor and a challenge. For more information on the Cockayne Farmstead, visit www.cockaynefarm.com, or follow Cockayne Farmstead on Facebook.